Our message today is so urgent, and so important to the continued survival of a critically endangered species, that we are jointly requesting your help alongside our friends and colleagues at the Turtle Survival Alliance (TSA), Tortoise and Freshwater Turtle Specialist Group (TFTSG), and the Turtle Conservation Fund (TCF). Yesterday, authorities in Palawan confiscated over 4,000 turtles just before they were to be shipped out from their native island in the Philippines. More than 3,800 of them were endemic Philippine Forest Turtles (Siebenrockiella leytensis), a species that exists only in a very small area in the northern end of Palawan. This number exceeds our current understanding of the existing wild population, and it would take decades for this slow-growing species to possibly recover from the effects of this massive, highly coordinated poaching event. Our concern is that the species may never recover from these staggering losses unless immediate action is taken. The future of the Philippine Forest Turtle is hanging in the balance, or more appropriately, in a warehouse in Palawan, and we need your support to help these turtles now! Funds are urgently needed for triage, transportation to safe facilities, and nursing care of these rare turtles. Being a solitary species in the wild, they are sensitive to stress and will die quickly when maintained in groups. We must not keep nearly 4,000 turtles in overcrowded conditions, or most of them are certain to perish. Our friends at the Katala Foundation in Palawan are leading the heroic rehabilitation efforts for these turtles and are in immediate need of assistance. We are mobilizing support from the world turtle conservation community and we need your help. Our colleagues at the Wildlife Reserves Singapore and several international zoos have already stepped up with generous commitments to help with this crisis, and our own organizations have made commitments to join their efforts. Many of the turtles are in immediate need of veterinary care, while others are stable but need to be separated and returned to the wild as soon as possible. We are working to raise $50,000 to pay for immediate costs associated with their care and return to the wild, and we foresee rising costs in the coming weeks depending on the condition of each turtle and how many need nursing care. Originally described in the 1920s, only four specimens of the Philippine Forest Turtle were known to science until about twelve years ago when the species was rediscovered on Palawan. Since then, a concerted effort to conduct surveys and understand their biology has been underway, and reintroduction studies have been conducted. 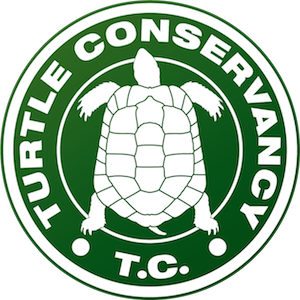 In 2009, the TSA and TC partnered to consult with the local Katala Foundation in Palawan on the Philippine Forest Turtle to construct turtle rescue facilities for events like this, but none of us ever imagined a crisis of this magnitude. We need your immediate and generous support to prevent this historic crisis from causing the extinction of this species. Please donate now to help this Crisis in the Philippines and help save a very special species. P.S. Veterinarians and veterinary technicians: anyone with turtle medicine experience that can meet us in Palawan, please contact Andrew Walde or Paul Gibbons immediately.